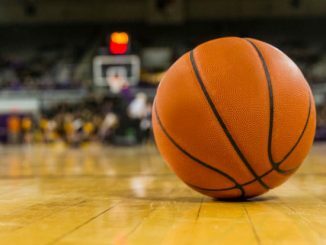 On Thursday night, the Michigan State Spartans will travel to Iowa City to take on the Iowa Hawkeyes in a B1G showdown. Michigan State comes in at 17-2 and is ranked number 6 in the country. Iowa comes in at 16-3 and is ranked 19th. Michigan State has already beaten Iowa this year by a score of 90-68. Michigan State is coming off a 69-55 win over Maryland on Monday. 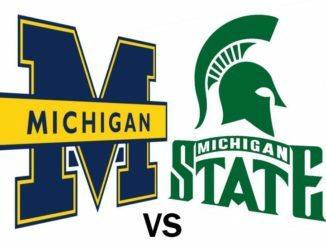 The Spartans have won 12 straight games and have been absolutely dominating good teams both at home and on the road, all without one of their best players, Joshua Langford, who will miss the game at Iowa as well. Against Maryland, Michigan State had 5 players score in the double figures. Cassius Winston and Kenny Goins both had 14 points to tie for the team lead. Aaron Henry chipped in 12 points. Matt McQuade and Xavier Tillman both had 10 points in this one. Goins led the team in rebounds with 12 and Winston led the team with 7 assists. Nick Ward was held scoreless and played only 14 minutes due to foul trouble. Iowa is coming off a dominant 95-71 win over Illinois and has won 5 straight following a loss to Purdue and are 11-1 at home this year with their only loss coming to Wisconsin. Iowa had 3 players score more than 20 points in this contest. Freshman Joe Wieskamp tallied 24 points to lead the Hawkeyes. Isaiah Moss scored 21 while Luka Garza added 20. Jordan Bohannon also scored double digits with 10 points. Tyler Cook led the Hawkeyes in rebounding with 7 boards to go along with 7 points. Coaches son Connor McCaffery led the team in assists with 8. The Michigan St Spartans are led by point guard Cassius Winston, who is averaging 18 points a game and is also the leading assister with 7.3 a game, which is 5 more than the next Spartan. Nick Ward adds 15.7 points a game, and Joshua Langford tallies 15 a piece but will not play in this one. Matt McQuaid and Xavier Tillman have stepped up in Langford’s absence as they are both average 8.4 points a game. Kenny Goins is the leading rebounder with 9.6 boards a game. The Spartans are putting up 83.8 points a game on 49.9% shooting and are holding opponents to 66.1 a game. Iowa has 5 players who average double digits in scoring, led by superstar Tyler Cook, who scores 16.5 points and grabs 8.2 rebounds each game—also a team high. Luka Garza tallies 13.9 a game and grabs 4.9 rebounds. Freshman Joe Wieskamp is a big contributor with 11.9 a game. Jordan Bohannon scores 11.2, and Isaiah Moss adds exactly 10 points per game. Jordan Bohannon is the leader in assists with 3.3. The Hawkeyes are almost as good offensively as the Spartans and are averaging 82.8 points on 47.9% shooting. They allow opponents to score 72.2 points a game, which will be a problem against Sparty. Michigan State comes in at –4.5. Michigan State has been firing on all cylinders for a while now and is arguably the best team in the country. Iowa has enjoyed some success as well but has not been nearly as impressive as Michigan State. I think the offense of the Spartans will be too much for Iowa to handle and they will not be able to slow them down. I think Michigan State gets on top early and pulls away for an easy victory by 10+ points. Take Michigan State -4.5.